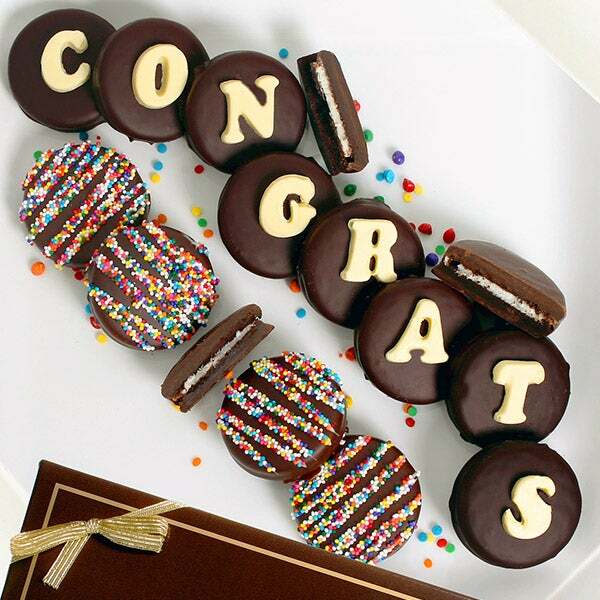 Congrats Oreo? Cookies is rated 4.8 out of 5 by 53. Your recipient has really earned it! Show them how impressed you are with their accomplishments with this sweet assortment of 14 Belgian chocolate dipped Oreo® cookies. Not only are the cookies drenched in delicious white, milk, and dark Belgian chocolates, but they then are embellished with a sweet confectionary drizzle, festive sprinkles, and white chocolate letters spelling out "CONGRATS"!